A thin skin men's hair wig with super lift injected hair that will not sit flat on your head giving you greater styling options. A good choice for short hair and dark hair. With a knotless transparent base, the S24 custom Super Thin Skin Lift Injected Hair Wigs for Men are super undetectable because the hair appears to be growing from outside your head. The lift injection ventilation technique is used on the S24 hair wigs for men add realism because the hair stands up with the lift of your normal hair, which makes it easier to style in different ways. 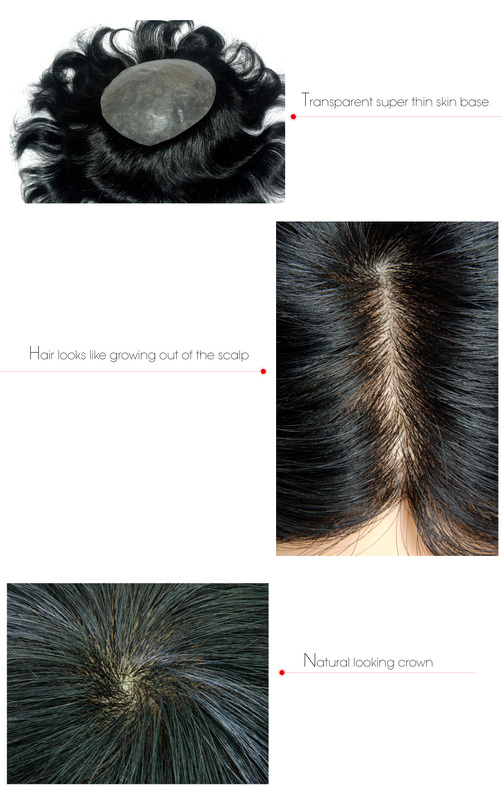 The lift injection technique used on the S24 hair wigs for men also helps to create a super realistic crown. The super thin skin base is also easier to attach and clean, compared with other base materials like lace. While the lift injection technique is really not durable, you can customize to increase durability by asking for a thicker base. 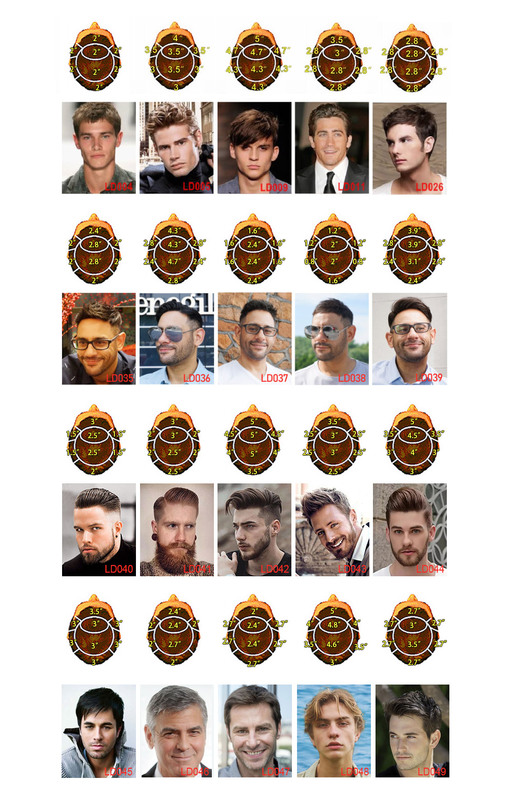 The S24 custom hair replacement system for men is especially good with darker colors and perfect if the natural look takes priority over durability.